Anoo's® is not only a salon but also a clinic offering skin, hair and weight loss treatments. US FDA-approved advanced medical & dermatological procedures are used in all of its clinical treatment which are performed by professionals with vast industry experience. 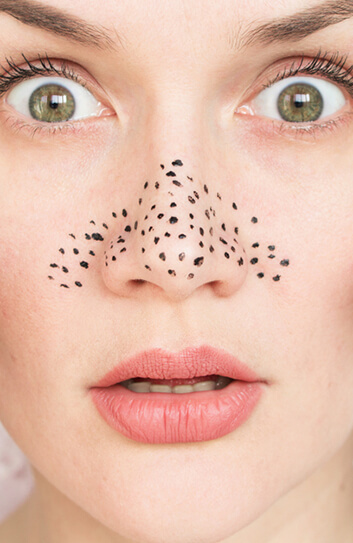 Black & White Heads: Blackheads & Whiteheads develop when the skin's oil glands clog the skin's tiny openings which can also spoil your skin's complexion. Anoo's® offers treatments that will visibly diminish or remove these skin imperfections. Treatment procedures at Anoo's® include: Electrodessication, Electrocautery, and Deep Skin Therapy. Exfoliation removes dead cells from the skin's outer layer thus revealing smoother, softer skin with an even tone. Exfoliation also makes it easier for facial products to penetrate the skin's outer layer. 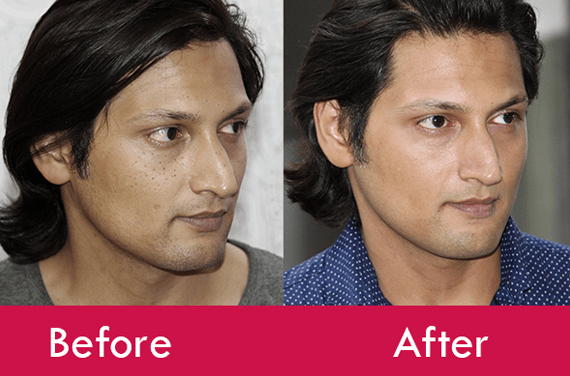 Laser Rejuvenation or Photo Facials is performed using a safe and non-invasive light-based treatment that combats pigmentation, photo damage, controls acne, acne scars, rosacea, and even helps in rejuvenating the ageing skin. RF skin tightening is a non-invasive, anti-ageing technique that heats the skin to stimulate the subdermal production of collagen and elastin which help reduce the appearance of fine lines and loose skin. Anoo's® recommends this technique for its anti-ageing, double chin, and weight management treatments. Are you suffering from sun-browned, acne-pitted, dry, wrinkled, or aging skin? Anoo's® offers advanced facials that makes use of the power of antioxidants, skin boosters, and hydrating factors in its modern skin care products to address these conditions. It's also called Vitamin drip therapy. Celebrities treat themselves to it before hitting the red carpet. This Glutathione Skin Whitening Treatment can lighten your skin evenly. It also helps to eliminate toxins from the body, supports the central nervous system, aids in fertility and supports a healthy and strong immune system. This procedure involves the use of microcurrent to improve microcirculation and cell metabolism in order to tighten muscles which helps improve the skin tone. Microdermabrasion is a non-invasive skin polishing procedure that uses tiny crystals to gently exfoliate the superficial layers of dead skin, boost cellular metabolism and collagen synthesis to give you a firm and young look. It is ideal for treating open pores, acne scars and for maintaining the skin's quality. DST is done using an electroporation machine. Electroporation is a non-invasive procedure to penetrate active skincare ingredients deep into the skin's layers. It can treat acne, acne scars, scarring from laser treatments, hyperpigmentation, PIH, dehydrated skin, wrinkles, cellulite, and enlarged pores. PRP therapy is a safe (approved by the US FDA) non-surgical dermatological technique for skin conditions. PRP is a concentrated form of platelets taken from the patient's own blood (thus lowering chances of an allergic reaction) that's rich in growth factors. PRP is injected into the treatment area using a fine needle where it stimulates the growth of collagen (which may take 3 months). PRP is used for tissue regeneration, wound healing, scar revision, and skin rejuvenation. Skin improvements begin to appear after the first session, after which the benefits will be visible for up to 2 or more years. For optimal results, 4- 6 treatments may be recommended. Superficial & medium-depth peels are used to obtain smoother, brighter and younger-looking skin without having to resort to cosmetic surgery. Peels address various skin concerns such as fine wrinkles, pigmentation, shallow scars, uneven skin tone, sun damage (melisma), ageing, and some types of acne & pits. Anti ageing peels include retinoid-based antioxidants, combination peels. For optimal results 4-6 sessions are needed with a gap of 3-4 weeks. Some of the advanced peels used at Anoo's®: Retises CT Yellow Peel, Ferrulac Peel, Argi Peel, Melas Peel K, ‘C' Peel, Salicylic peel 25%, Black Peel, Trans glow, Trans renew, TCA, and PTC. CIT (micro-needling) is a highly effective procedure to minimize the appearance of fine lines, wrinkles, or scars on the face and body. This minimally-invasive skin rejuvenation treatment is especially useful for the delicate areas around the eyes and lips. CIT also naturally increase the skin's collagen formation which helps reduce the formation of lines and wrinkles. Microblading is a semi-permanent make-up, where pigment is inserted into the upper layers of skin thereby creating the desired fullness and shape of the eyebrows.